UJA President Eric Goldstein with philanthropists Jean Shafiroff and Alice Tisch. 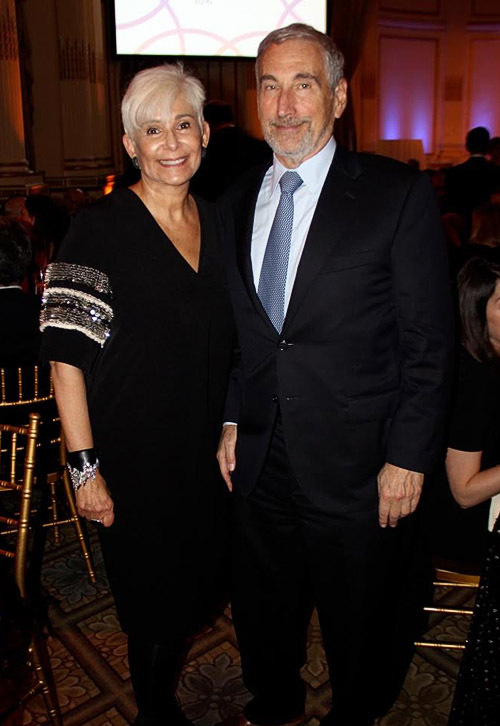 UJA board members Carol and Jerry Levin. Susan Bram in vintage Dolce and Gabbana coat. Emily Steinman in Alexander McQueen. 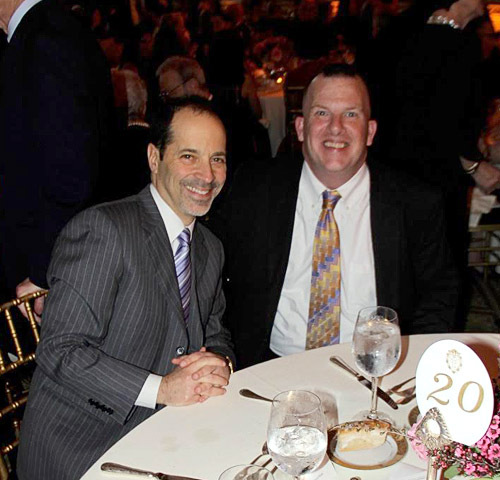 CEO of Jewish Board David Rivel with honoree and recipient of Jewish Board’s Services Tom Cleary. The Jewish Board of Family and Children’s Services (JBFCS) held its annual dinner at the Plaza Hotel on Thursday April 7 with hors d’ oeuvres starting at 6:30PM. 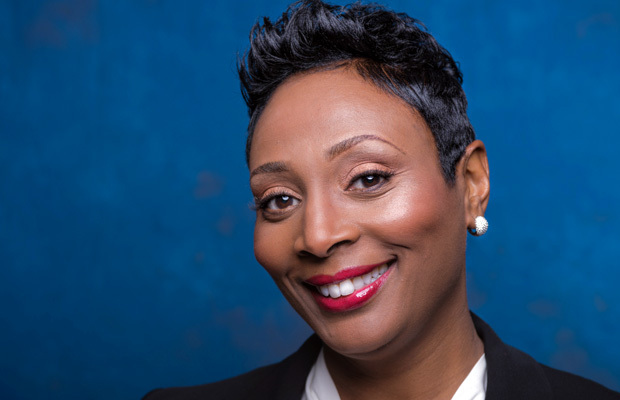 This organization has over 3,300 employees and serves over 43,000 New Yorkers annually at its community-based programs and treatment centers. This evening the ballroom was replete with philanthropists Jean Shafiroff, Alice Tisch, Carol and Jerry Levin being just a few of the hundreds of people who gathered for this event. The colors of the evening were black and white and most of the ladies obeyed with honoree Emily Steinman in a black and white Alexander McQueen, Jean Shafiroff in a black and white Oscar de la Renta, and Karen Krasner in a black and white Valentino. Alice Tisch, Board President, presented the Yerman-Steinman family with the “Lifetime Service Award” and Emily Schwartz with the “Leadership Award”. The dinner began with a benediction over the bread and kosher food was served allowing me to voraciously enjoy my chicken dish. However, it was emphasized that JBFCS serves non-jews as well with a video being shown of Tom Cleary, the son of an alcoholic father, who benefited from the mental health program. CEO David Rivel said, “the Jewish Board thrives because of the commitment of the individuals honored tonight.” That dedication was manifested by the over 350 people who attended a dinner which raised more than $1 million.